The sonics, the vibrations, and the energy of Wu-Tang was trapped inside Mathematics. The scene is set with a gritty beat, chopped piano samples and kung-fu sound effects. Soulful vocals provide a hook — then give way to fiery bars provided by rapper Redman. This is the sound of “People Say,” a single that signals the return of the legendary Wu-Tang collective. It’s from the brand-new album Wu-Tang: The Saga Continues. You can now take the sounds from three of the album’s hit songs and make them your own in the latest Studiopack for NOISE and BLOCKS. 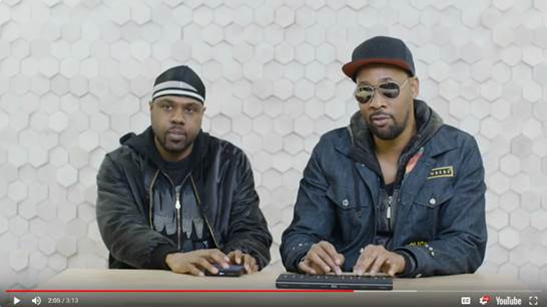 Wu-Tang Clan veteran RZA jams with Mathematics on a Seaboard Block and a Lightpad Block. Featuring instrumental and vocal clips, the Wu-Tang The Saga ContinuesStudiopack lets you put your own spin on the singles “People Say,” “My Only One,” and “Lesson Learn’d”. “Make your own beat or remix mine,” says Mathematics, the Wu-Tang-affiliated producer who created The Saga Continues, in our film. The album is the next chapter in the story of one of the world’s most influential groups. Hip hop changed forever after the Wu-Tang Clan exploded on the scene with their 1993 debut Enter the Wu-Tang Clan (36 Chambers). The album was a colossus, featuring the irresistible beats of producer RZA and the voices of a group of young rappers who would go on to become household names. Over the past 20 years the Wu-Tang collective has absorbed new talent and broken new ground — while holding true to the distinctive Wu-Tang sound. With its modern twists on classic Wu-Tang beats, The Saga Continues shows the constant evolution of the group. The smooth R&B chorus in “My Only One” is just one example. Mathematics combines an old-school hip hop crunch with some brand new sonic flavors — all of which are now at your fingertips in the new Studiopack. Mathematics produced the entirety of Wu-Tang: The Saga Continues. As a friend of founding member GZA, Mathematics was there from the beginning. He even designed Wu-Tang’s iconic W symbol for their first album cover. While he has produced tracks for the collective before, this is the first time he has made an entire Wu-Tang album by himself. The Saga Continues originated from a “friendly sparring” session with RZA, where both producers shared their creations. After hearing Mathematics’ beats, RZA knew immediately that they were perfect for Wu-Tang. Wu-Tang: The Saga Continues is the second collection of sounds from a member of the Wu-Tang Clan available in NOISE. 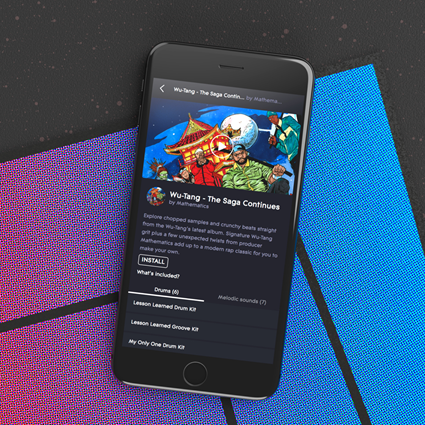 Spoonful Of Grit by RZAfeatures crackling pianos, dark basslines and kung-fu effects all inspired by the legendary soundscapes RZA created on albums such as Enter the Wu-Tang Clan (36 Chambers) and Liquid Swords. Buy Wu-Tang: The Saga Continues by Mathematics and Spoonful Of Grit by RZA in the Soundpack Store in NOISE now. They’re just two in an ever-expanding collection of Studiopacks and soundpacks. 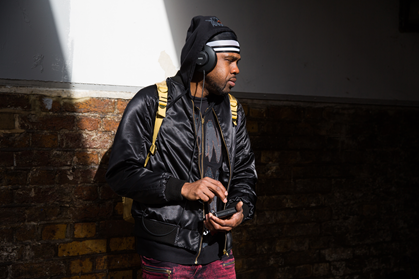 We’ve released signature packs from renowned artists like Grimes, Pharrell and Rudimental. From Stadium Rock to Golden Age Hip Hop to Synthetic Pop Dream, there’s a stack of sounds to choose from in NOISE — to play either on your mobile device or on a Seaboard Block or Lightpad Block.